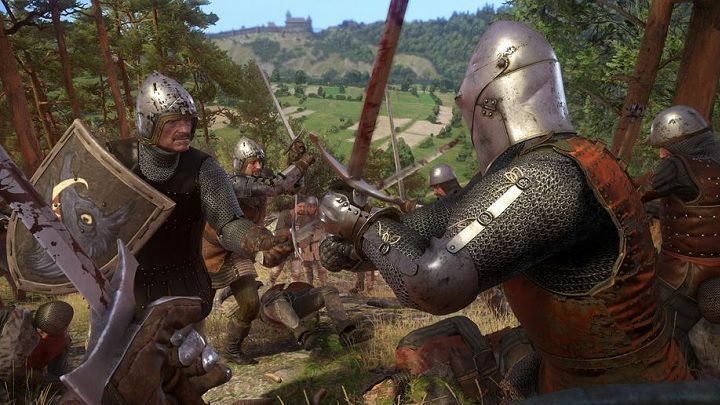 The fourth DLC offering for Warhorse Studios medieval open-world RPG Kingdom Come: Deliverance, Band of Bastards is arguably the most action packed of all of the expansion content released thus far. Yet, despite its onus on stabby/clubby action, it still manages to immerse players in a nice chunk of entertaining story and well-written characters. The premise of Band of Bastards is encouragingly straightforward – the lands surrounding Rattay are frequently under attack from crews of bandits and other such undesirables. In an effort to curb their murderous ambitions, Sir Radzig Kobyla has enlisted the help of his old friend, the somewhat volatile Baron Kuno of Rychwald, and his band of chaotic warriors. As the walkabout guide for Kuno and his titular Band of Bastards, players must direct the mercurial Baron and his forces around Rattay and the surrounding roads – keeping one eye on any marauding forces that might crop up, as well as ensuring that the Baron’s own forces don’t get into any trouble of their own making; something for which there is no shortage of opportunity in this expansion. One of the strongest aspects of Band of Bastards is how it makes you feel like you’re actually part of a gang. When you’re not romping about the countryside, laying waste to bandits and other such criminals in the fairly epic looking 20-man brawls that are arguably a highlight of this expansion, you’ll spending time at Kuno Camp and it is here that Band of Bastards is at its most compelling. By sharing a campfire with the ‘Bastards’, you can speak to them – finding out details about their backstory and their reasons for being part of Kuno’s roving group of armed misfits. Additionally, some members of the group have quests to provide the player with, and though entertaining for the most part and nicely padding out this DLC’s otherwise limited duration, they definitely err towards the smaller end of the quest size spectrum. Beyond the quests and the campfire chatter, just simply being able to ride out with these folks also helps to really sell you on the fact that, even if it’s for a short time, you’re actually a member of a fellowship that all share a common bond – something that the cut-scenes also manage to reinforce with aplomb. With multiple possible endings and no shortage of combat-based shenanigans, Band of Bastards is a solid piece of DLC for Kingdom Come: Deliverance; I just wished it lasted a little longer. 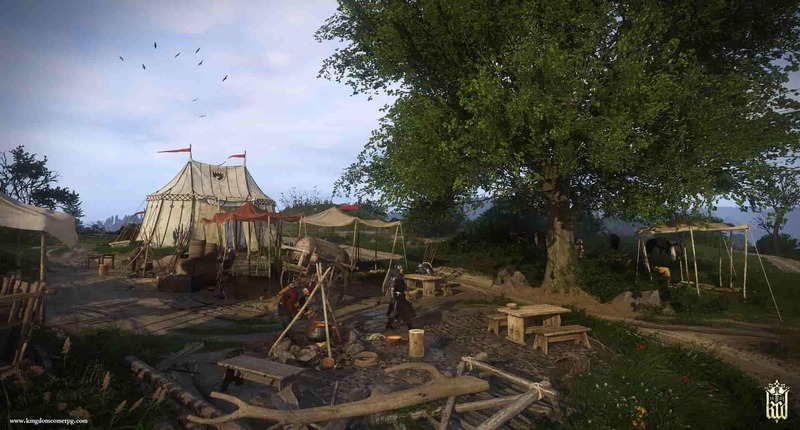 Essentially then, if you enjoyed the combat of Kingdom Come: Deliverance and simply want more of that but with extra story and character development bits on top, then Band of Bastards will scratch that itch emphatically. Just don’t look for it to do too much else. Developed by Warhorse Studios and published by Deep Silver, the Band of Bastards DLC for Kingdom Come: Deliverance is out now on PS4, Xbox One and PC.